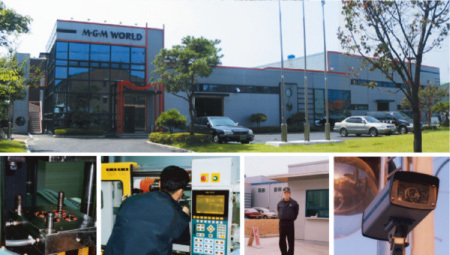 Chip Manufacture | Matsui America Inc.
Matsui has recently moved into a new purpose built Chip Manufacturing and modern office complex on the outskirts of Seoul, Korea. The Manufacturing space is committed to the special expertise and services required to increase customer satisfaction through distribution of the highest quality gaming chips. This includes the design, manufacturer, special packaging, customized marketing and incorporation of innovative security features. MATSUI work with a wide range of environmentally friendly plastics and other materials. They also utilize the most recent accurate moulding technology available to manufacture the most durable gaming chips. The plant is maintained by keeping a clean environment and controlled temperature. Thus ensuring the quality of the chips is always kept to the highest standards possible. Ongoing Research & Development is undertaken for innovative solutions to chip security problems faced by casinos worldwide and cost effective materials, which can be utilized in gaming chip manufacture.